Barcelona manager, Ernesto Valverde, has said it would be too earlier to see his side as the LaLiga winners. 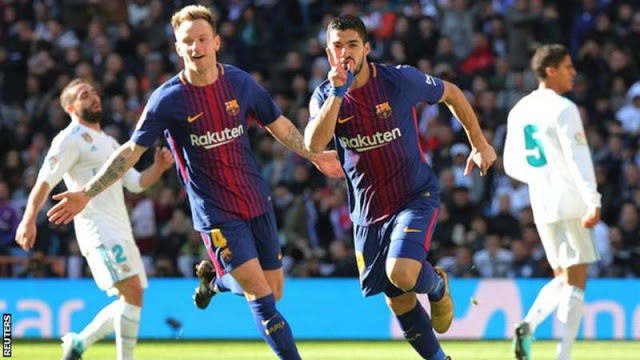 Barcelona defeated LiLiga champions, Real Madrid 3-0 at the Santiago Bernabeu on Saturday. Speaking after the match, Valverde said they were able to overcome Zinedine Zidane’s side before his team imposed themselves in the second half of the game. He told reporters, “They pressed us very high and it forced us to play long. “We couldn’t play as we are used to. It was an open game with no side in command, but in the second-half we managed to impose our control on the game. “Our intention is that no one beats us.